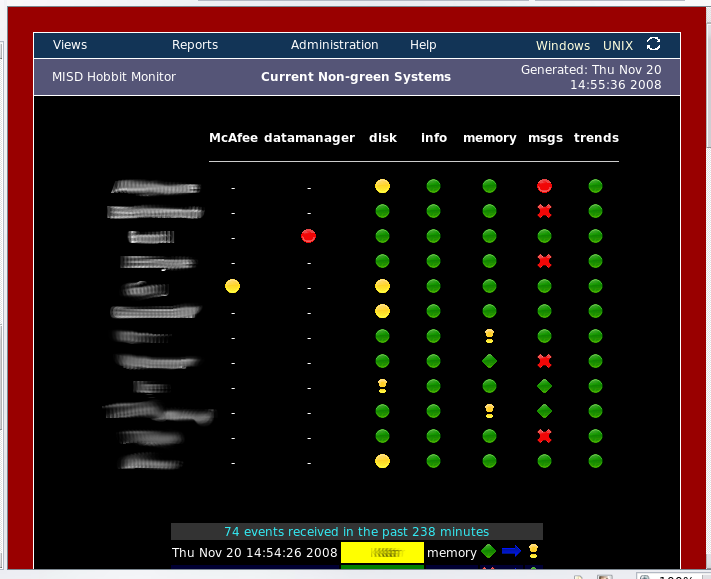 The files in this tarball were created for our solaris installation of hobbit. I have not tested them on any other systems, so use them at your own risk! Backup your hobbit server installation. Unpack the tarball. You should now have three directories full of files: etc, web, and www.